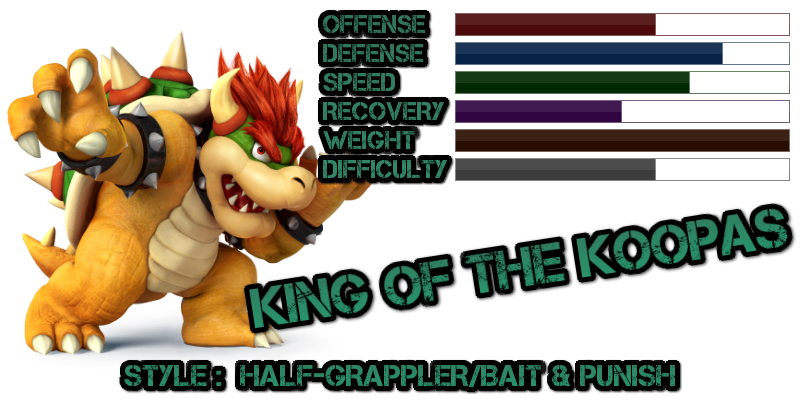 Discuss the King of Awesomeness, Bowser, in this thread. "I'm lightning in a bottle! I'm an earthquake in a can!" Upthow Uair still possible; Starts killing slightly earlier but has a smaller range to true combo! Everyone's reaction when they found out Bowser got buffed again. New web app released for the Bowser Up Throw to Up Air percents, for anyone interested in learning.